I have no clue that Jerry, one of our gerbils was sick. My husband put the gerbils back in the garage. The hamsters are in my husband’s trapping room. My husband and the kids like to stay in the trapping room. The kids are playing the hamster. One time, my kids said that our neighbor kid play rough with Jerry. He likes to come very often and play with my kids and likes to help out my husband. My kids said that he threw Jerry up in the air. I did not saw it when it was happen and so my husband. We bring the hamster back in the house as it is getting cold. My little girl wants it in her room. My kids said that Jerry is sick. He even lost one of his legs. He used to be so active. I remember how many times he escaped and hide underneath the refrigerator. He even bites the tube. We called a service guy to repair it. He is our trouble maker hamster. I felt really bad for Jerry. He died three days ago. The husband made a cross. The little girl decorated it. Jerry is now buried somewhere in our backyard. He is now in peace and will not suffer anymore. We now have one gerbil left, his name is Tom. I am sure that Tom wonders where Jerry is as they are always together in the cage. I am glad that the kids did not bother now that Jerry has gone. They said that Jerry has a good life which is true. They really took care of Jerry. They help him clean his cage, give him food and water. 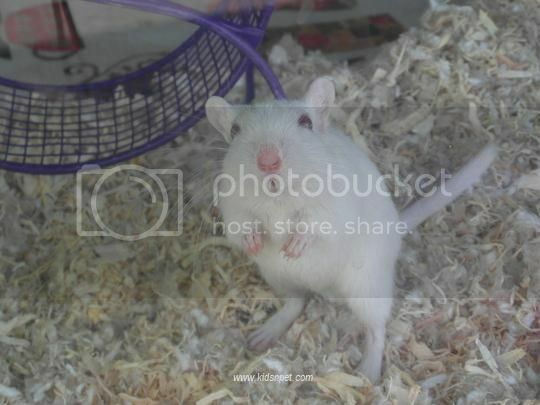 This entry was posted in animals, gerbils. Bookmark the permalink. Felt sorry for your dead, just find another one as replacement. My daughter wants to have a hamster, but sad to say, I said no to it. I usually end up taking care of it. Maybe you should not let the other gerbil to be near at your neighbor’s kid. Some kids do rough with pets especially when someone is not looking. sorry to hear that sis, do you know what our pet dogs are named tom and geri 🙂 tom had passed away due to old age, geri is still alive and kicking though he is also old. So sorry about Jerry passing sis. All I know is hamster has a short life span, about 2 years lang. So sad naman for your pet. oh what a cute pet! im so sorry fpr your lost. im inspired with this post as you really value your pet.. i have one pet that dies and until now when i see a pet looking like her i ted to get teary eyed!